It used to be called Schutzhund. Now they call it IPO. What is it? ﻿What in the World do all of those Words even mean? 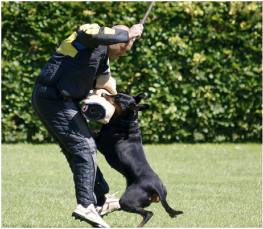 In the sport of IPO (Schutzhund) most competitors use German Dog Commands. Find out what those are here. All those letters. It's like Alphabet Soup? ​What do all of those letters mean? What do those Titles mean? ﻿​﻿Our DVG Working Dog Club located in North Texas.